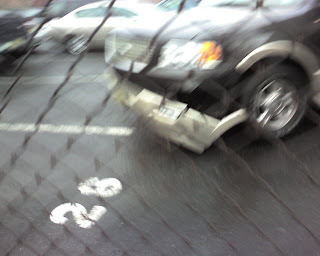 I know you can't see the picture too well, but this guy in the ford explorer just tapped the fence pulling into a parking spot and ripped off his bumper. He was going no faster than 5mph CHHHHEEEEAAAAPPPPP!!!! !